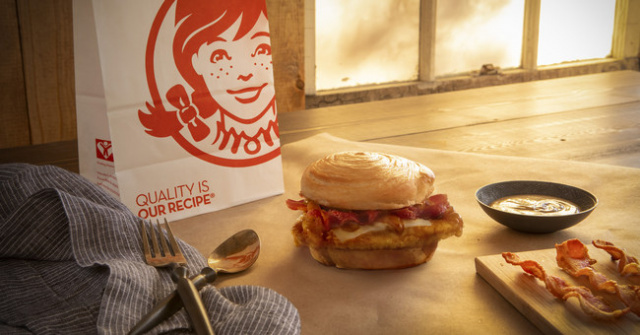 Wendy's Bacon Maple Chicken Sandwich is made with a hot, crispy Homestyle chicken fillet, topped with swiss cheese, three strips of Applewood smoked bacon and drizzled with a sweet Maple Glaze - all in between a warm and fluffy croissant bun. This delicious sandwich and its sweet and savory breakfast flavors is served at your convenience, but available for a limited-time only. 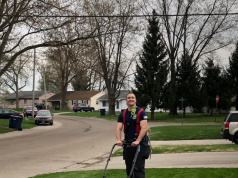 CIRCLEVILLE – It has syrup on it, you dont have to get up early for breakfast anymore you can have it at lunch, a chicken maple sandwich available at wendys. 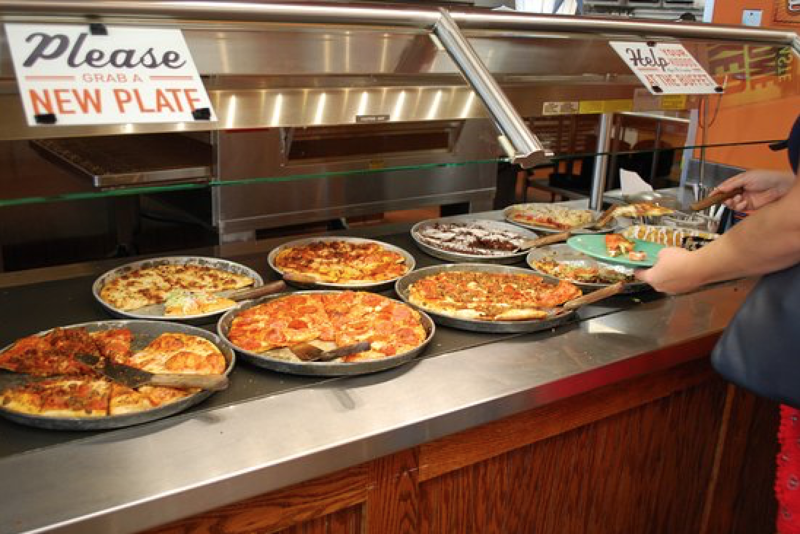 This sandwich seems to have the chicken and waffle appeal. The sandwich is available in three different ways with Crispy, Spicy or Grilled chicken. 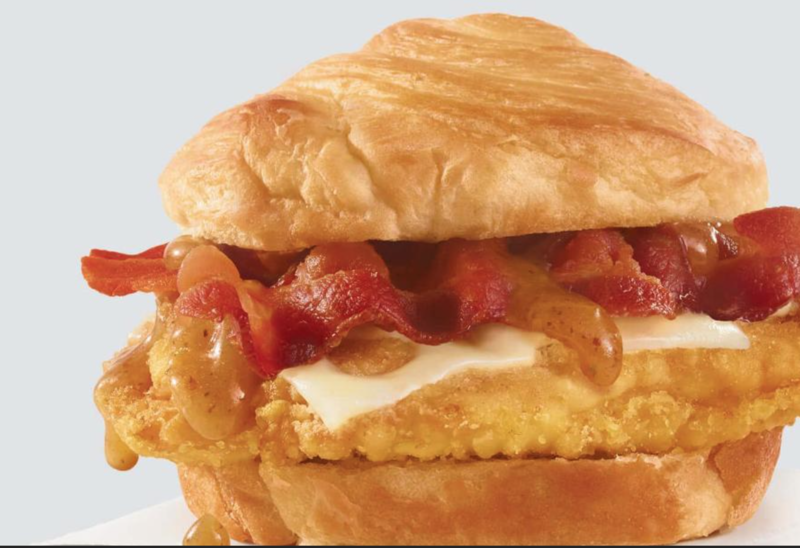 It comes with a special croissant bun, bacon and a special maple syrup glaze. 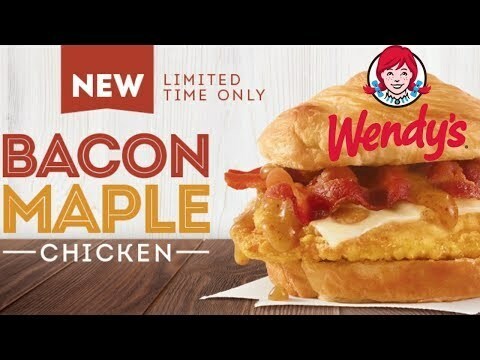 The Wendys sandwich is 680 calories and will be available for a limited time only.